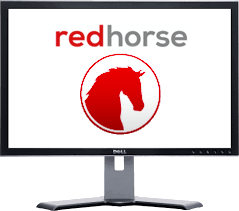 RedHorse Business Manager is the most complete business management system you can find. With built in modules for Lead and Sales Management, Customer Service, QuickBooks integration and more, you won’t find more functionality at a small business price. All of the functionality seen in the screenshots of RedHorse CRM can be found in RedHorse Business Manager. Stay connected via your phone or any web browser. Reach, engage, acquire and retain customers. See click-throughs and monitor marketing campaign success directly in RedHorse CRM. Seamless integration with QuickBooks allows you to give your sales team all of the information they need about their customers without needing access to your accounting system. RedHorse CRM includes a full quoting system to manage your sales process. Integrate the Quoting module with QuickBooks for complete flow with your accounting department. Ensure the best possible customer experience by using the integrated Ticketing system to manage all of your customer support requests. Let RedHorse CRM do the work for you. Set up automated workflow tasks to monitor prospects, remind your sales team about open quotes, email customers about the progress on their support requests.